The Federal Aviation Administration (FAA) has announced the six states that will host sites for testing commercial use of drones. FAA picked Alaska, Nevada, New York, North Dakota, Texas and Virginia. The sites are part of a program to develop safety and operational rules for drones by the end of 2015. Hitherto mainly used by the military, the potential of drones is now being explored by everyone from real estate agents to farmers or delivery services. The head of the FAA, Michael Huerta, said safety would be the priority as it considers approval for unleashing the unmanned aircraft into US skies. Pilots will be notified through routine announcements about where drones are being flown. FAA said that its decision followed a 10-month process involving proposals from 24 states. The agency said it had considered geography, climate, location of ground infrastructure, research needs, airspace use, aviation experience and risk. The biggest chunk of the growth in the commercial drone industry is currently expected to be for agriculture and law enforcement. Police and other emergency services could use them for crowd control, taking crime scene photos or for search and rescue missions. It can cost a police department hundreds of dollars an hour to deploy a helicopter, while an unmanned aerial vehicle (UAV) can be sent into the skies for as little as $25. Farmers, meanwhile, might find it easier to spray crops or survey livestock with the pilotless aircraft. The FAA estimates as many as 7,500 aircraft could be in the air five years after widespread airspace access is made legal. 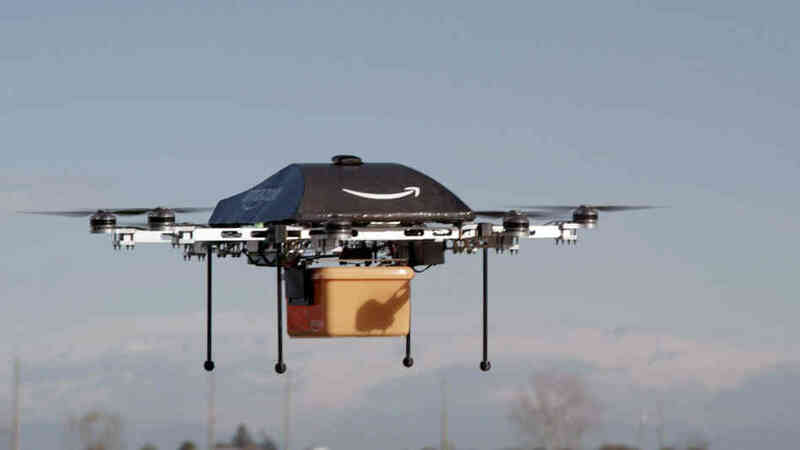 However, the commercial use of drones has drawn criticism from both conservatives and liberals. In a report last December, the American Civil Liberties Union said that giving drones access to US skies would only ensure “our every move is monitored, tracked, recorded and scrutinized by the authorities”. However, lawmakers from winning states were delighted with the selections. “This is wonderful news for Nevada that creates a huge opportunity for our economy,” said Senator Harry Reid, a Democrat from Nevada. An industry-commissioned study predicted more than 70,000 jobs – including drone operators – would develop in the first three years after Congress loosens drone restrictions on US skies. The same study, conducted by the Teal Group research firm, found that the worldwide commercial drone market could top $89 billion in the next decade.